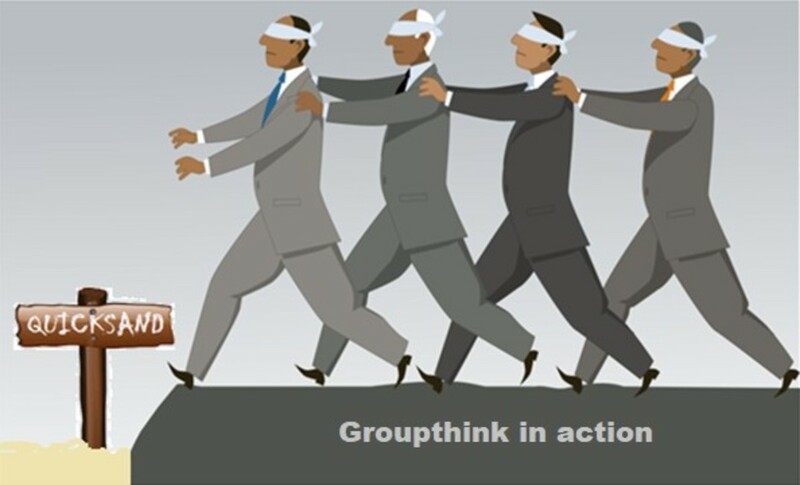 For the purpose of this article “groupthinkers” refers to people who want and even demand to be a part of authoritarian collectivist organizations with a monopoly on power, and they want that power to be mandatory for everyone. This almost always means imposing some form of government on an entire society. Also for the purpose of this article “libertarians” refers to people who want and even demand to be a part of voluntary organizations with no power to force them to join, participate in, or prevent them from or punish them for leaving. This almost always means seeking some form of severely limited government, some form of voluntary “governance” such as post-statism or some form of complete laissez-faire free market anarchism. The real culture war, the author says, is not traditionalism vs. progressivism as Bill O’Reilly claims because these concepts are merely two heads of the same collectivist beast. The true culture war is individuality and freedom vs conformity and compliance. Collectivism states that human beings only have value in virtue of their relationship to the collective while individualists claim inherent value in self-ownership. Emershaw, described as “a libertarian freelance writer, blogger, and philosopher,” offers individualists “a five-step plan of action” for winning the Real Culture War. 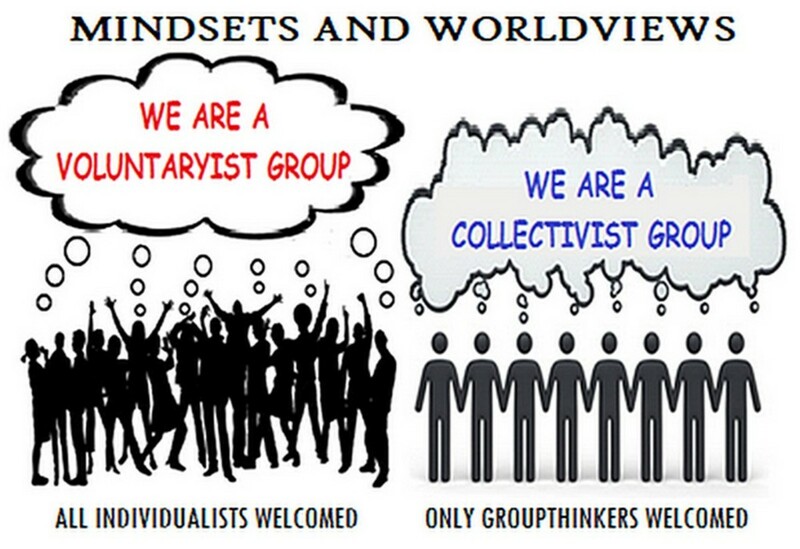 Groupthink requires conformity and compliance; libertarianism requires individualism and self-ownership. 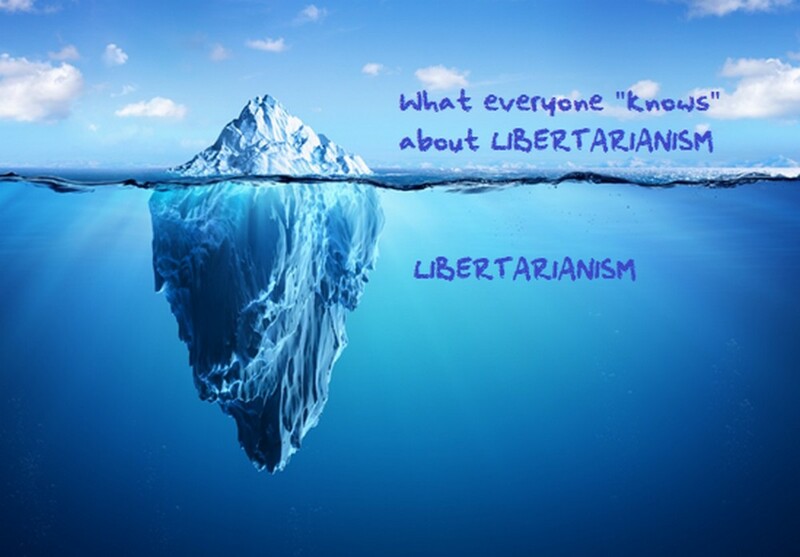 Because of these most deeply held philosophical, psychological, emotional and existential differences libertarians can rarely if ever become groupthinkers nor can groupthinkers become libertarians. 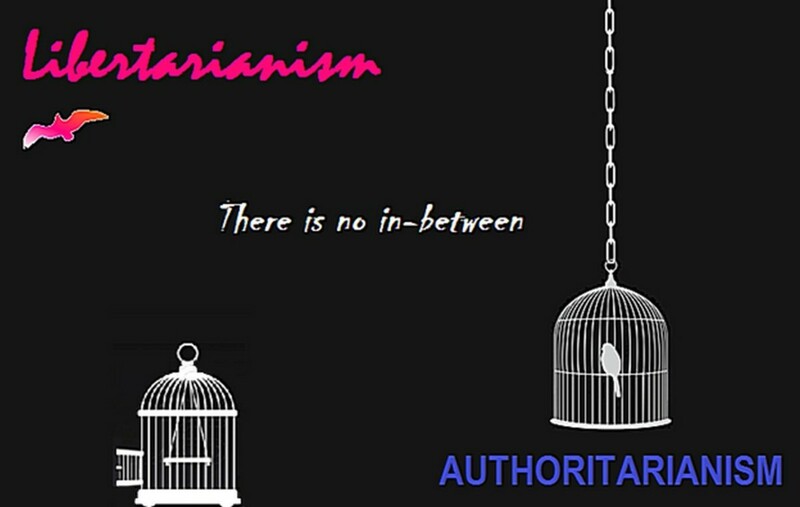 An example of the chasm between these ways of thinking can be clearly evident in a short article titled “Libertarianism’s Amorality” written by Mark Wilson in 2012 and posted on the QUANTUM MERUIT website. Non-Aggression Isn’t a “Moral” Principle? 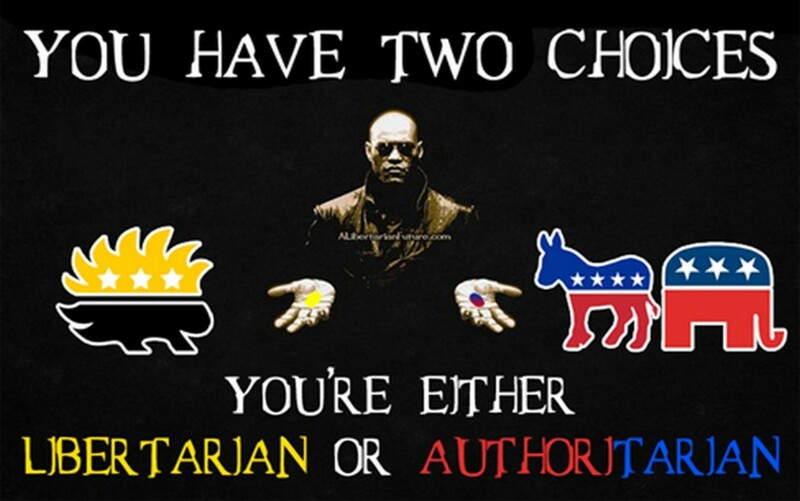 Note first that the only way libertarians can be called “amoral” (neither moral nor immoral) is to consciously ignore the libertarian non-aggression principle (NAP) against coercion, intimidation and fraud. Both the writers below do exactly that. But this NAP is the libertarian moral/ethical code. Apparently groupthinkers want a moral code that dictates to people what they must do, not what they mustn’t do. But apparently none of this properly registers with Sachs. He’s the one who discovered the poor starving neighbor in the first place but as a true Groupthinker he believes that if government doesn’t save the hungry guy no one will save him. But what about Sachs himself? Why can’t he feed the poor guy, or contact voluntary agencies to help the neighbor, or contact a neighborhood group to help him? And what also doesn’t register with him is that libertarians are people much like himself who will gladly voluntarily come to the aid of others when they’re in need. Libertarians are just as involved in their communities as everyone else: they're just individually motivated rather than government motivated. But incredibly the biggest thing that failed to register with Sachs is that the very thing that he denounces libertarians for – the “extreme view” of libertarians defending “liberty alone” – is itself the very thing that makes it possible for Sachs to help others, i.e., no one has the right to prevent him from helping others. But that further highlights the true mark of the Groupthinker; the knee-jerk reaction that if government doesn’t solve every issue no issue will ever get solved. This is a perfect example of Groupthink as the basis for all bigotry, that every individual is identical to the group and every group is identical to the individual. Groupthink is where we get such odious stereotypes like racism, ethnicism, sexism, homophobia, xenophobia and other mindless clichés: Black people love watermelon, women are ball-breakers, men are rapists, liberals are airheads, conservatives are authoritarians, and onward into endless rounds of political, social and cultural groupthinking. So of course some libertarians reduce all people to numbers and civilization to a spreadsheet if they happen to be mathematicians, economists, actuaries, statisticians, accountants or pollsters, but this is hardly a definitional attribute of all libertarians or of any group of non-libertarians. 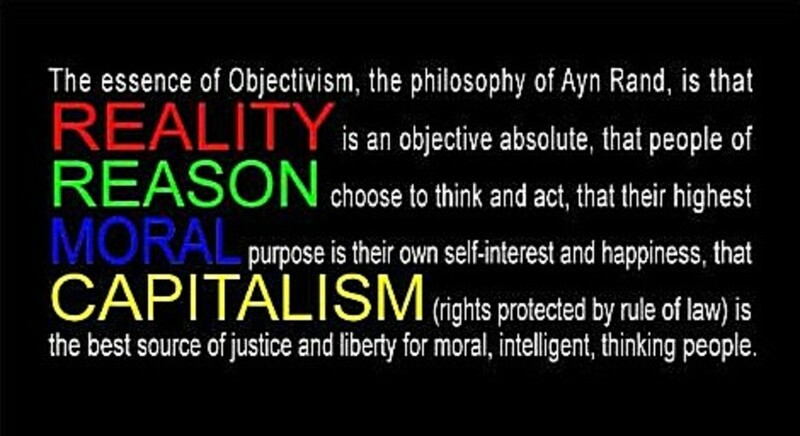 Like it or not this is the essence of Ayn Rand's philosophy, not Wilson's version. But that’s not Rand’s message. 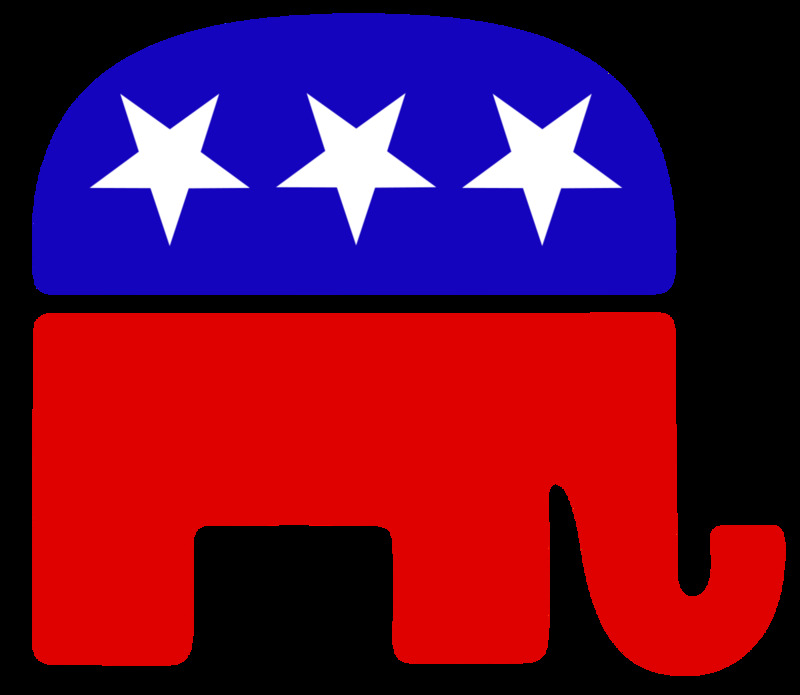 The message is that manipulative Groupthinkers like Elsworth Toohey – Politicians, career bureaucrats, corporatists, banksters and other recipients of ruling class looting – put taxes and regulations in place because they only care about amassing as much power, wealth and ego gratification for themselves that they can get. It isn’t jealousy that drives them, it’s psychopathy. Wilson also seems to have failed to note that in the book some of the “innovators and entrepreneurs” are themselves members of the looting ruling class. But the truly odd thing about Wilson’s inexplicable detour into Rand World is that his original thesis is “libertarian amorality” while Rand and her Objectivist philosophy at best runs tangential to today’s libertarianism. While many libertarians do indeed accept Rand, she herself rejected libertarianism and many libertarians either reject Rand, have never read Rand, or have never even heard of Rand. For half a century or so the War on Drugs has been putting thousands of people in cages for the possession of marijuana even though this has destroyed more young lives than the actual possession of marijuana ever could have, and in the process helped create the biggest prison population in the world. Thanks, Wilson. That’s what you Groupthinker’s love of government rules for the sake of rules gets us. Anyone catch yet another favorite feature of Groupthink? 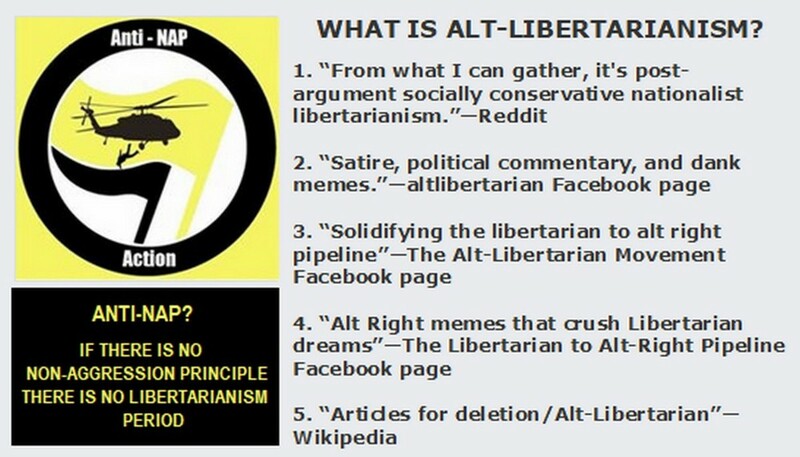 Concepts are not people, meaning in this case that the concept of “Libertarianism” can neither acknowledge nor ignore anything; only individual persons called “libertarians” can acknowledge or ignore things. This isn’t just a semantic nit-pick. 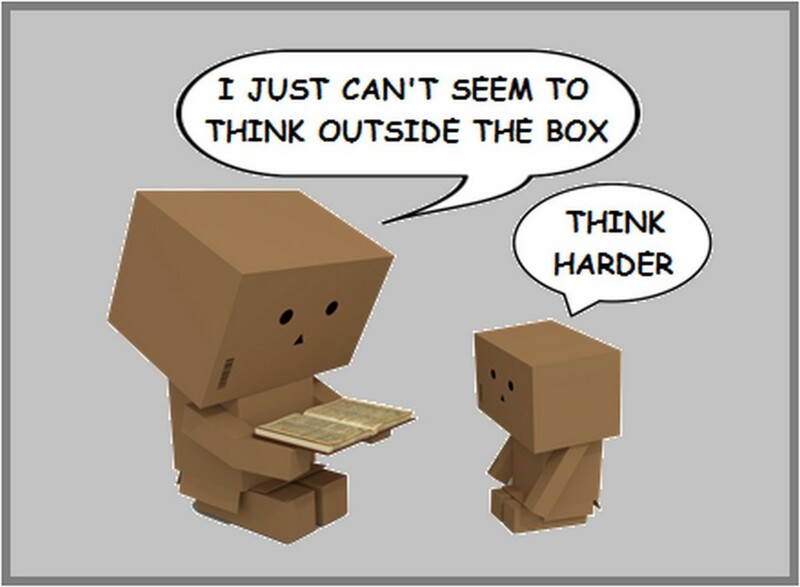 Groupthinkers constantly believe that their concepts are distinct “things.” It’s why they think that a “social contract” is an actual item rather than an idea, why they think “fairness” or “diversity” or “tolerance” are specifically identifiable entities rather than just general viewpoints that different people think differently about. So, while the concept of “Libertarianism” neither acknowledges nor ignores anything virtually every individual libertarian acknowledges and fully understands that not everyone has the same advantages in life. That is precisely why libertarians hold to their Non-Aggression Principle, to help protect the disadvantaged from being taken advantage of by people who have no qualms against using coercion, intimidation or fraud against the disadvantaged, or anyone else. What exactly is it that prevents Groupthinkers from comprehending that the greatest advantage-takers of all are the very psychopaths who gain control of the hierarchical power structures of governments and use their monopoly on force for their own personal advantage? What exactly is it that prevents Groupthinkers – including Mark Wilson and Jeffrey Sachs and millions of people just like them – from comprehending that in a free voluntary libertarian society they – along with millions of others including libertarians – have every right and opportunity to form themselves into organizations and societies and associations and institutions for the explicit purpose of helping the very disadvantaged people that they so adamantly claim to care about? What in the hell is wrong with groupthink people that they can’t possibly help others themselves without whining to the government ruling class to do everything they are perfectly capable of doing themselves if they would just freaking do it? What government Groupthinkers never seem to get is that championing liberty above all other values in society is precisely the very thing that makes all those other values in society possible! This is the source of the definition of collectivism used in this article. Know your friends and your enemies: There’s more to both of these concepts that most people really understand. Much more than the simplistic character Wilson paints. 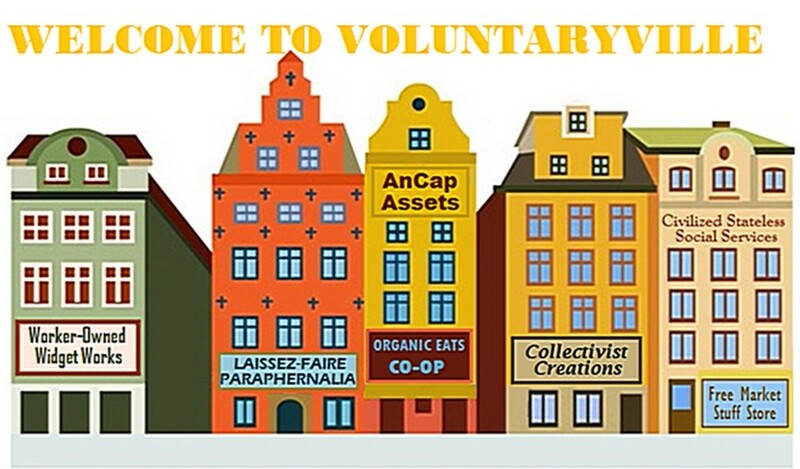 Voluntaryism: The Bridge Between Socialism and Libertarianism? Surprise! 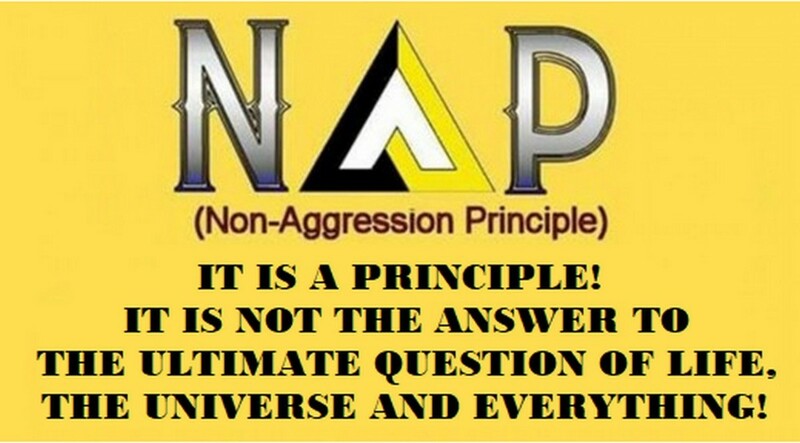 The Non-Aggression Principle Is a Principle – Not a Philosophy! Duane, I've come to realize that nearly everyone uses that response when they disagree with things they read that go against their own worldview. Me included. We tend not to separate opinions from facts so when we see opinions we don't like we call them fallacies and straw man arguments. All of my articles begin with this subheading: "Commentary From Your Libertarian Opinionizer" so that all readers know they're reading my opinions about issues, not factual reports or accounts. "Matters of right and wrong can be known objectively--they are not matters of opinion. Though seizing or killing innocent people to terrorize governments into submission is objectively wrong, given the rights to life, liberty, and property, many people do not recognize that terrorism is wrong." But if that's just an opinion about opinions then we're all lost. There's a lot of false dilemma fallacy and strawman arguments in this Hub. Thanks as always Mama Liberty! Unfortunately I don't think there's very much balanced thinking left out there. I've tried a few articles recently discussing how both free market libertarians and voluntary socialists could possibly bridge the gap between the two ideologies for example only to catch hell from both sides. Few comments I get on my articles are from thoughtful people, but then that's what I get for posting on Facebook Groups. They're mostly people permanently locked into their belief systems based on table scraps they got from someone else. They think the scraps are an actual meal and never budge from there deeply embedded "facts." For my current article, as you can see, I just went back to presenting my own beliefs and leaving it at that. 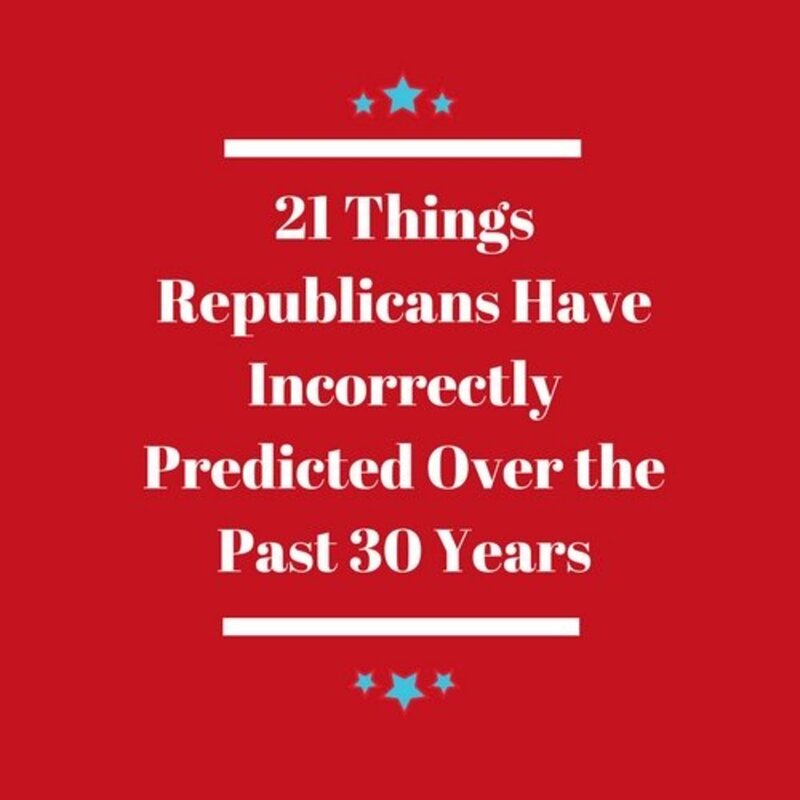 You've hit the nail on the head with a good article. It's food for thought, but I prefer more balanced thinking. I think that's part of our problem today, it's "all or nothing" regardless of whose side we're on. 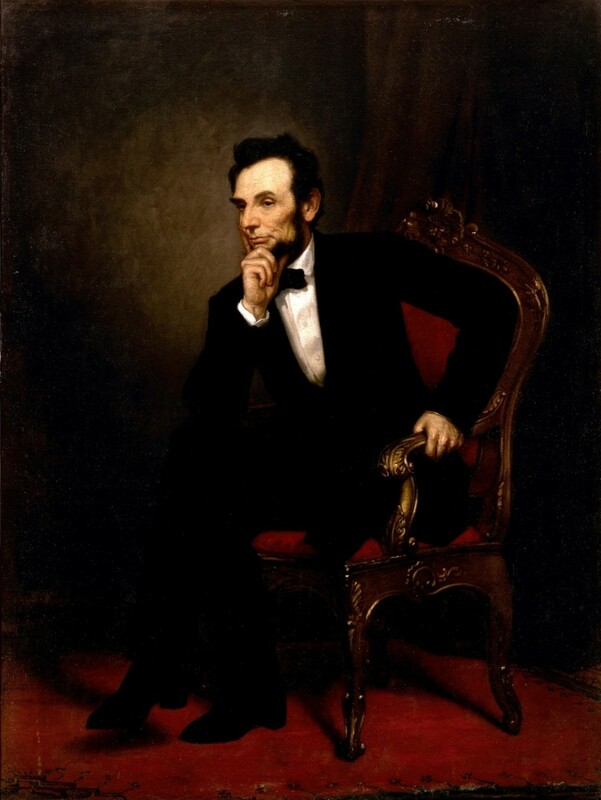 There was a time when Americans could compromise for the good of the country.